Mere days after being canceled by Syfy, The Expanse may already be making a comeback. The Hollywood Reporter says that Amazon is in talks to revive the series for a fourth season. And while the deal is not yet closed, there was this little acknowledgement from author/producer Daniel Abraham. 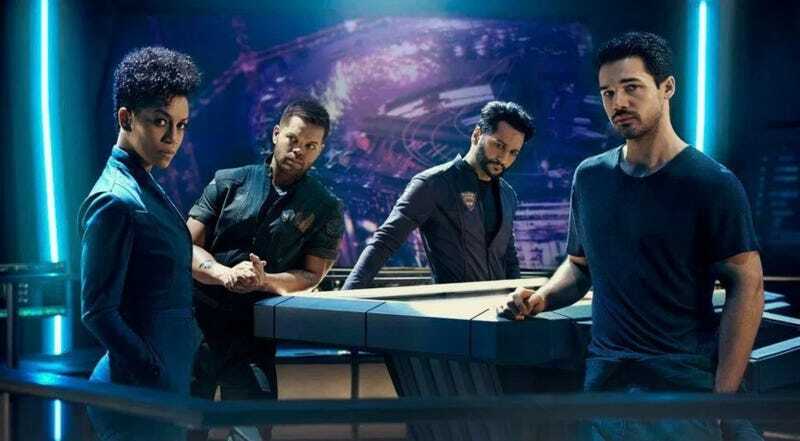 According to the report, Amazon’s CEO Jeff Bezos is a huge fan of The Expanse books and was “livid” when rival Syfy got the rights to make the show. Amazon later secured the streaming rights to the show. Once the show was canceled earlier this month, the producers reportedly planned to shop it around to various other outlets. Whether or not that actually happened yet, or if Amazon just swooped in, is unknown. It’s also unknown if the huge outpouring of support from fans, which included flying banners over Amazon’s offices, had anything to do with it. No matter, if things close, the result will be the same. The Expanse will be back. When and if this deal is closed, and we find out when the show comes back, we’ll let you know. But for now, we’ll take full credit for this since we ran this article mere days ago.